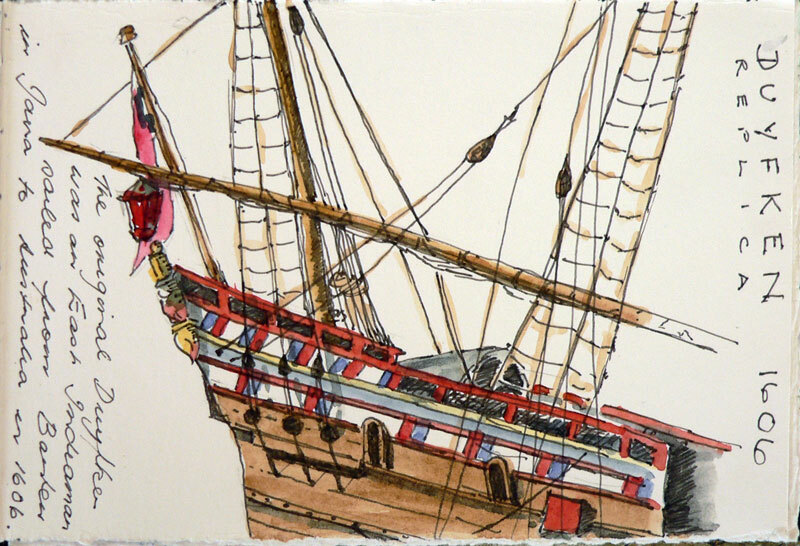 This wonderfully elaborate sailing ship is a replica of the Duyfken, an East Indiaman. The original ship sailed from Banten (Bantam in English) in Java in 1606 to Australia where it mapped Cape York. Strangely I was already thinking seriously about a holiday in Banten. I've been to Java but not further west than Yogyakarta. 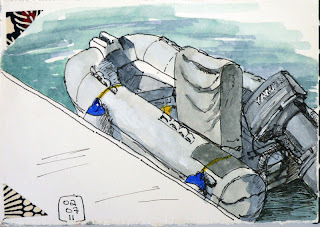 The Sydney Sketch Club went to the National Maritime Museum on Saturday. The winter has been pretty wet and cold so far, and there's great drawing both inside and out. Lucky for us it was a perfect day. Sunny and 20 degrees. Beanie and gloves not required. 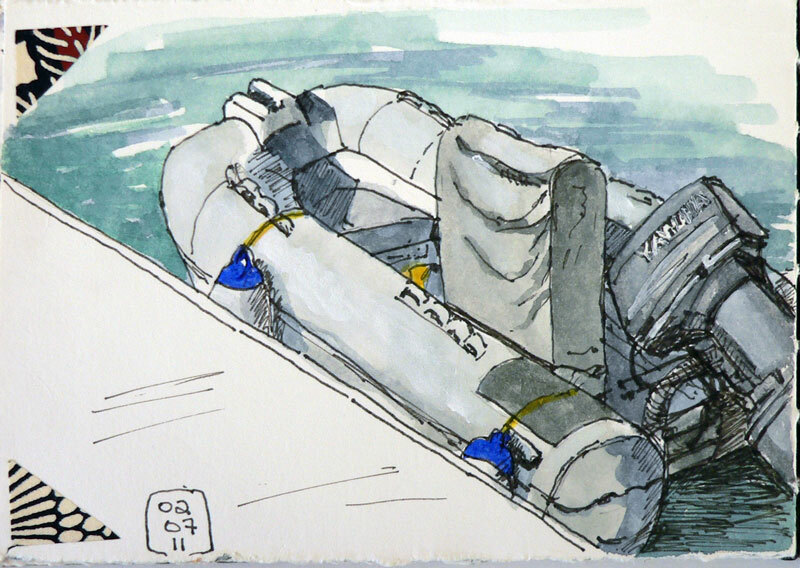 My second drawing was done looking down on this little rubber boat - they tell me it's called a rubber ducky, From the sublime to the ridiculous really, isn't it!